Welcome to miss lucy's monograms ...our online monogram company, which from our start in 2009, has been dedicated to providing our customers with top quality, distinctive, and unique personalized accessories & apparel that scream, "tooo cute " for every age !! After teaching for 33 years, I made the decision to retire from the occupation I loved dearly, but I immediately knew I was to go on to something new. I turned my focus to something I have always loved...embroidery and the monogram. With the help and support of family, miss lucy's monograms became a reality, and our company has had an amazing journey. Our studio has grown in staff and equipment - our commercial embroidery machines keep busy, busy, and we have had the opportunity to ship our beautiful, personalized items to customers throughout the US, as well as several international countries. We are so thankful! Large Groups love miss lucy's monograms, too...we have enjoyed supplying our unique, personalized gifts for many large groups...bridal parties, schools, cheer, dance, athletic, bands, and corporate groups. Our group discounts start when ordering 10+ of an item...please contact us for availability and discount information. We are so appreciative to the many customers who have found us and who have referred so many of their friends...we look forward to having you as a customer and to an exciting future! 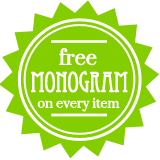 Above all, we want you to find shopping at miss lucy's monograms an enjoyable experience as you choose your personalized items...and, when you receive your special package from us, we want you to so pleased with your purchase! If you have a question along the way, please contact us. We want to be your choice for personalized accessories and apparel ! Thanks again for visting us...we look forward to providing your special order for you! 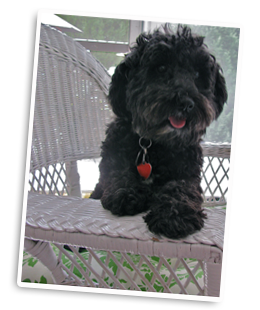 Meet Lucy, our puppy mill rescue dog that our family adopted in 2009, when miss lucy's monograms was open for business. Lucy was such a fun addition to our family, and when thinking of a name for our company, what better name to use than the name of our favorite new family member? Isn't she the cutest company mascot? 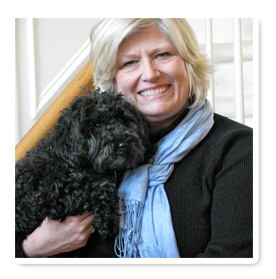 If you ever have room in your heart and home to rescue a puppy mill dog, go for it! There are so many out there that need a loving home! For more information on rescue dogs, click here.